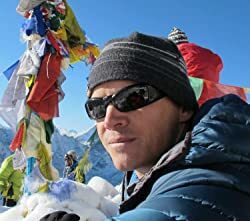 Brian Dickinson is a mountaineer, author, motivational speaker and former US Navy Air Rescue Swimmer. He lives in the Pacific Northwest with his wife, JoAnna, and 2 children, Emily and Jordan. Please enter your email address and click the Follow button to follow Brian Dickinson!